It is only the 15th and what a month September has been so far! My favorite thing that has happened so far is that for the past two mornings, I have woken up to temperatures in the 50s. For those of you who do not know me, this is my favorite type of weather. Cool, calm and beautiful. I think I knew in my bones cold weather was on it’s way because I have been making soup like crazy. I go on Pinterest, pin millions of soup recipes, and then go to the store and with ideas in my head make it up as I go. 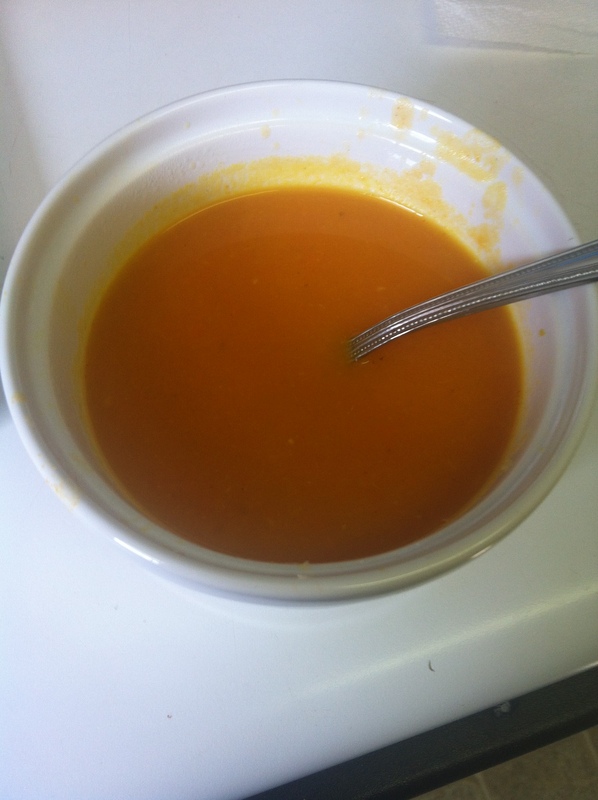 First I made a sweet potato carrot soup. It was divine. I made it spicy with some cayenne pepper and I ALMOST ate the whole pot in one sitting. No joke. 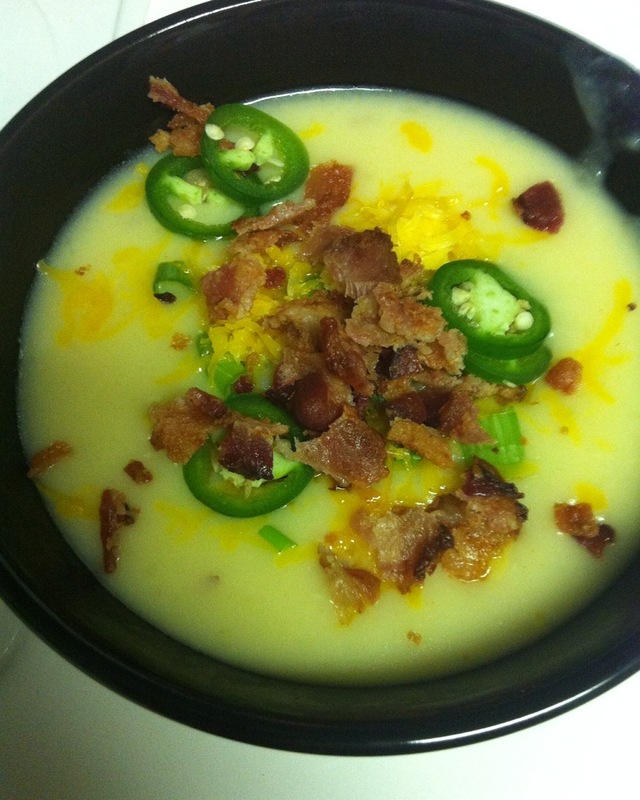 Next up was a Loaded Potato Soup. Justin didn’t like this one as much but I thought it was wonderful, especially topped with cheddar, bacon, jalapeños, and green onions. Not super healthy, but really, really good. I improvise a lot when I’m cooking…I will have a recipe in front of me, but I also do what feels right. It’s how my mom taught me. I will try to recreate each recipe for you here, so you can make these wonderful soups this fall season! Boil potatoes until tender. Drain and set aside. Using either butter or oil, sauté garlic and onions. Add carrots and broth, bring to a boil and boil until tender. Add sweet potatoes, and blend with immersion blender. Add spices and enjoy! Toppings: Bacon, cheddar, jalapeños, green onion, etc. Boil potatoes, drain and once cool enough, peel off skins. With either butter or oil, sauté onion. Add broth and potatoes. Bring to boil, then simmer. Blend with an immersion blender. Stir in cheese, top with your toppings, and enjoy! With this weather, more soups shall come!